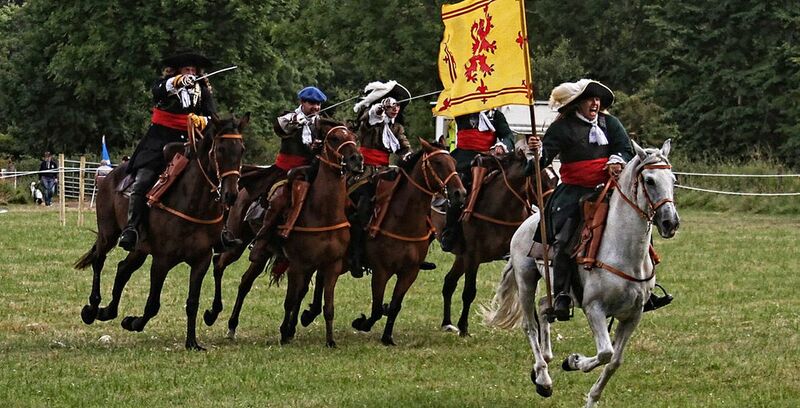 Two days of events and activities at the site of the 1689 Battle of Killiecrankie - includes arena displays of the Jacobite Cavalry. Variety of stalls, food stalls and activities. Local historian, Rulzion Rattray, research of the history, both from the Government forces and the Gaelic side, provides an unforgettable account of the tactics of the battle which is explained as groups are taken on guided tours across the battlefield. 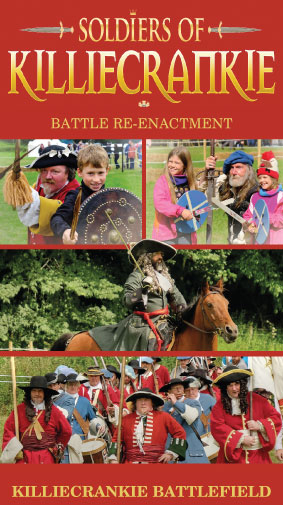 Family interactive fun: Jacobite character drawing, battle story, Magic Juggler. Entertainment: Sword dance, Aberfeldy Gaelic Choir. 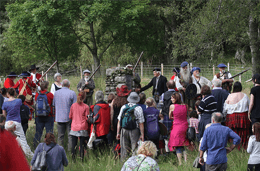 Talks: Battle history, Cavalry, Highland Bagpipes, Archaeology, Badenoch Walking Group. 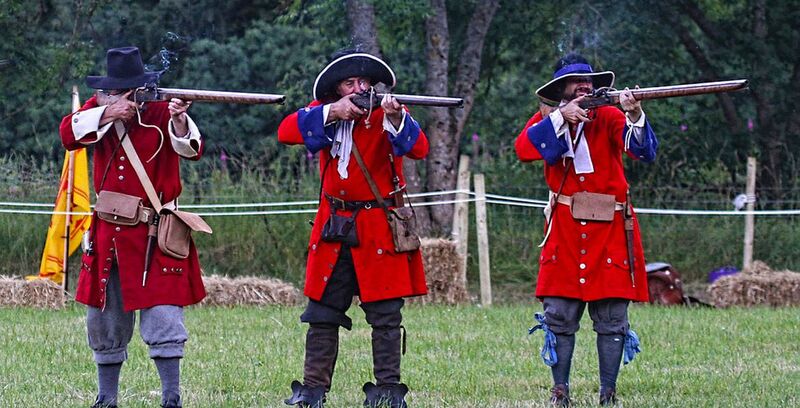 The Battle of Killiecrankie took place on the 27th July 1689. Scots and Irish Jacobite supporters of catholic Stuart King James VII of Scotland, II of England and Ireland fought against supporters of protestant King the Dutch Prince of Orange King William III (& II) and his spouse (and first cousin) Queen Mary II. (Mary's father, King James VII of Scotland, II of England and Ireland fled to France). The Scottish Parliament unanimously supported William and Mary. The only English regiment at the Battle was the Hastings Regiment, this was in fact a civil war. The Jacobites won a stunning victory but suffered heavy casualties, their commander John Graham, Viscount Dundee being killed in the final minutes. 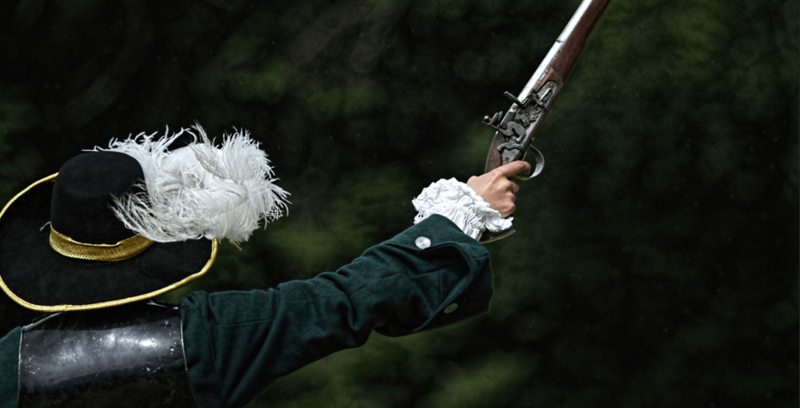 Click here for a detailed account of the Battle of Killiecrankie. 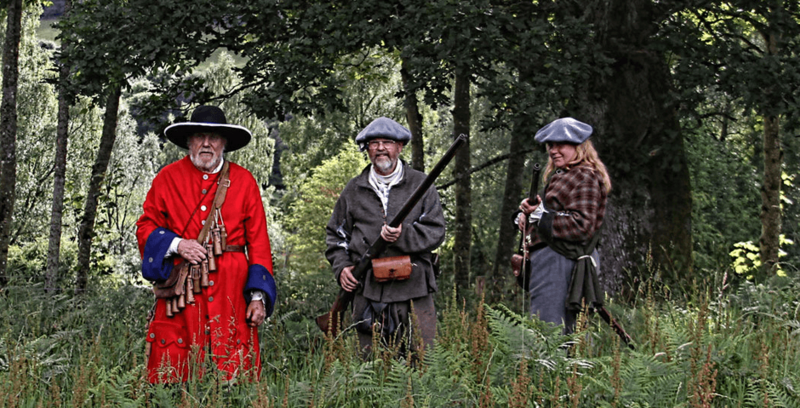 Soldiers of Killiecrankie, a community run event, was set up to commemorate the battle and is now in its fifth year. Our programme is packed with two full days of entertainment for everyone’s interests. 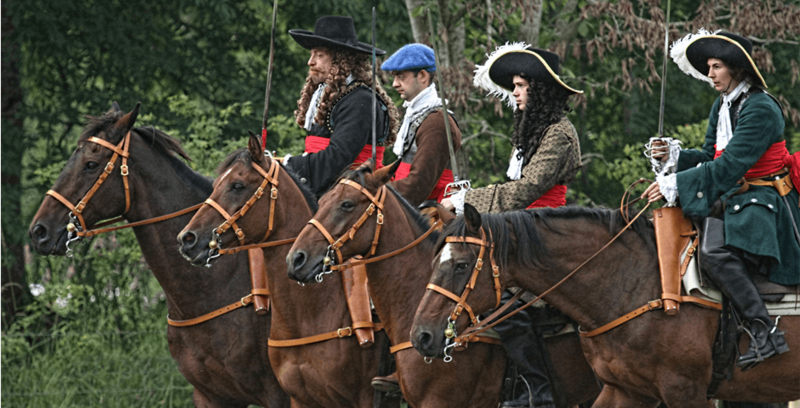 Re-enactors come from across the UK: Alan Breck’s Regiment, Earl of Loudoun’s Regiment of Foote and Erskine’s Regiment and Killiecrankie based equestrian stunt team Riders of the Storm. 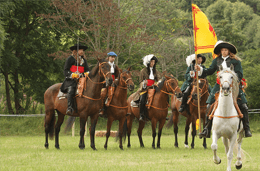 Performing the opening parade, various displays of cavalry, cannon and redcoats, the highland charge to the battle re-enactment, with an audience participation parade at the end to commemorate the first historic Jacobite uprising. 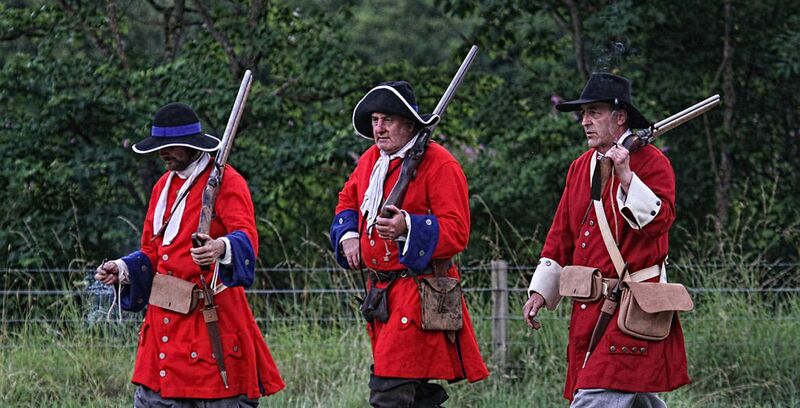 Learn more about the battle from taking a battlefield tour, along the lines of the Scottish Government army and Urrard House, where some of the fiercest fighting took place, and how the terrain played an important part in the outcome of the battle. 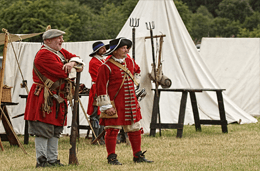 Experience the 17th century with a tour of the camp for the soldiers and followers – period displays and weapons of the era – traditional craft and food stalls and have the opportunity to dress in authentic period costume. Children will be entertained by an interactive story of the battle from National Trust Rangers, hilarious Angus’s antics, thrilling Magic Juggler, taking part in a young person’s pike drill, the punishment and executions of Jacobites, a history hunt to find character cards from the battle by local illustrator Dylan Gibson, sword dancing, archery and much more. A day out for all the family to enjoy! Costs: £7 adults / £6 concession / £3 children 5-16, under 5s are FREE! Also available a family ticket at £17 for two adults and two children. FREE car parking and programme. For those looking for a thrill, try the famous 170 meter long Soldiers Leap Zip Wire from within the forest to the main arena (£10 per person). FREE entry to a Ceilidh on the Saturday evening from 7:30pm with live entertainment and a licenced bar. 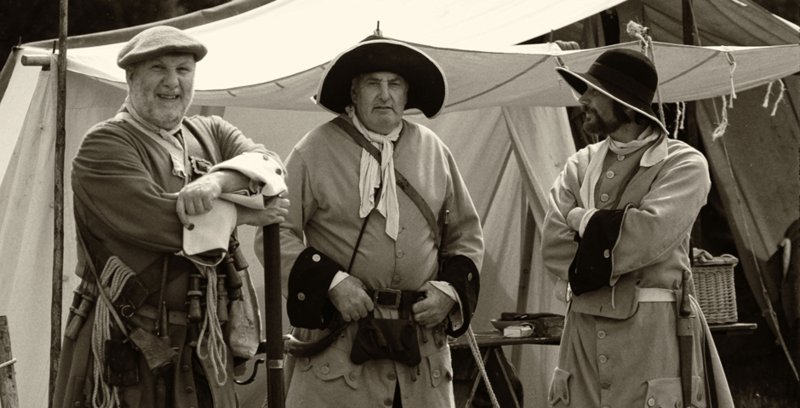 This is a popular event, well attended by both the re-enactors (still in period costume), local community and visitors.